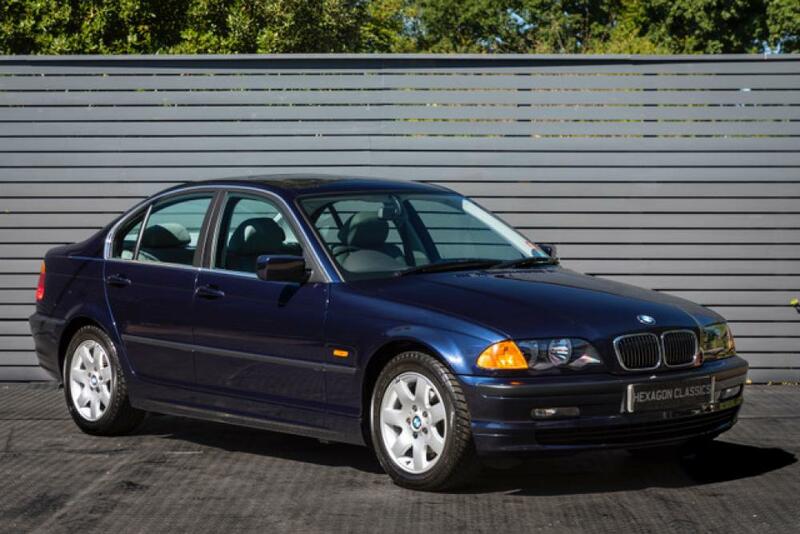 Hexagon Classics are delighted to offer this stunning BMW E46 323i that must be one of the lowest mileage and best examples available today. The car is well known to Hexagon and it is fantastic to have it back as the car was supplied new by Hexagon BMW in 1999 to its previous, and only owner. The car has a complete BMW main dealer service history. From the cars first registration until every service was carried out by our BMW service department here at Hexagon. After this, Aspire took over the servicing of the car. The car has always been used sparingly hence the low mileage and is a key reason as to why the car in presented in such extraordinary condition. Further testament to how well this car has been looked after over the previous nineteen years is that it supplied still on it original tyres which are still in lovely condition, (but these will be replaced when sold). For the buyer looking for a classic BMW that can be used every day, there is surely no better car available on the market today. This exquisite BMW 323i is available for viewing at our London showroom.